Truth be told, there’s not much that can tempt us away from our favourite festive tipple: eggnog! But in the spirit of the season, we’ve decided to branch out and sample a couple of alternative festive drinks too – a truly selfless act, we know. This week, we’re sharing our ultimate free range eggnog recipe along with a few others that will be on our Christmas drinks menu this year. Combine the milk, cream, cinnamon, nutmeg and vanilla in a saucepan and bring to the boil. Remove your saucepan from the heat and place to one side. This will allow the mixture to cool slightly and the flavours to develop. Whisk together the eggs and sugar in a bowl, until light and frothy. Gradually add the milk-spice infusion to the egg mixture and whisk. Whisk in your whisky. Obviously. Refrigerate for 1-2 hours and serve with a little dusting of cinnamon on top. And if you’re not a whisky fan, feel free to swap this out for rum or espresso coffee. Had your fill of eggnog (for the evening)? 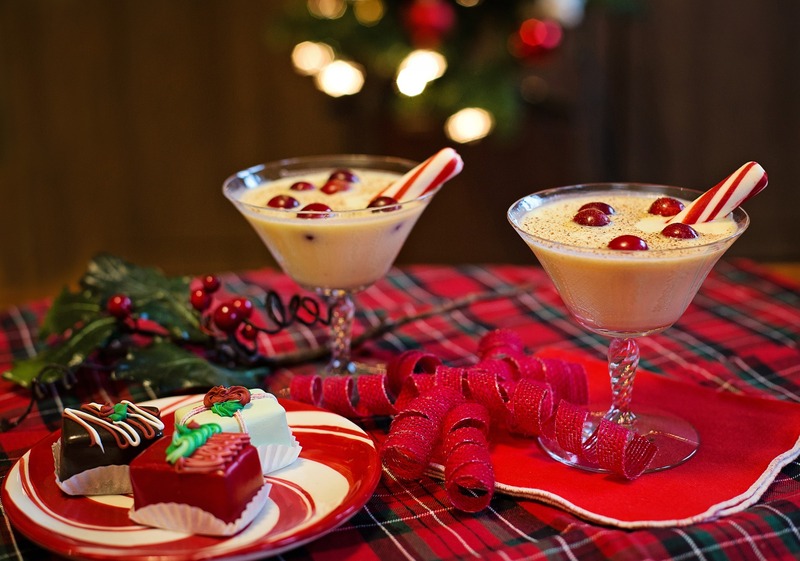 Try our two (second) favourite festive drinks. Delia’s Mulled Wine. A classic drink from a classy lady. There are few things more Christmassy than this rich, soul-warming tonic. Make a big batch in advance and reheat on demand. Be sure to serve this in sturdy wine glasses, or as the chef suggests, in half-pint mugs – Delia, you saucy mare! Jamie’s Hot Toddy. This delicious hot drink is guaranteed to warm the cockles of even the most stubborn of Scrooges. It’s the perfect welcome tipple to take the chill off those fingertips as your guests arrive or as a pick-me-up later in the evening. Oh, and did we mention it’s packed with mysterious medicinal properties, too? And don’t forget, please drink responsibly. Fight off the chill with these warming winter drinks this Christmas. Running low on your free range Nith Valley Eggs? Remember to stock up before Christmas or collect an extra box from one of our free range egg vending machines, find them here.